Great photos - those green balls look very intriguing! Gorgeous photos...but I think an explanation of the green balls is needed, please!! I am very curious about them! Awww, HUGS, that's lovely - and yes, those green balls?! 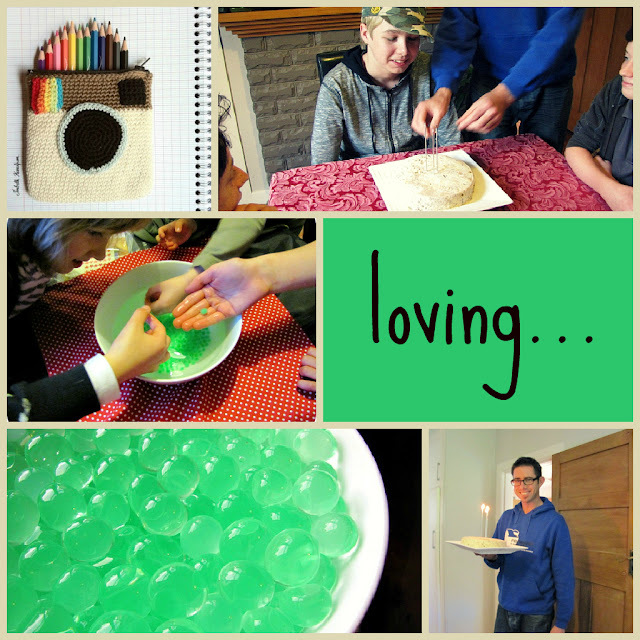 I'm also curious about the green balls, looking for some experiments for my son..have a lovely weekend! Awesome pics as per usual! We must know about the green balls, 7yo enquiring minds are on the edge of their seats! Yes, tell us about the green balls! I swear your life is just one endless birthday celebration!!! Lucky you!